We offer a wide variety of Eagle, Prevost, MCI, VanHool, Setra and Minibuses for sale. In addition to our used coach inventory, Goodson Bus Sales offers a wide variety of Eagle bus parts. 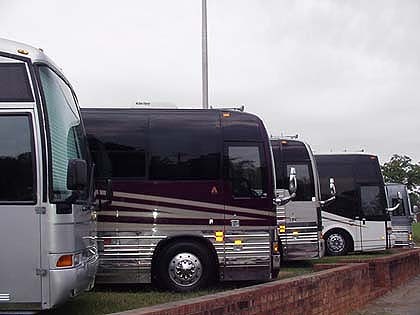 Churches, entertainers, and tour companies have entrusted Goodson Bus Sales for all their bus needs. We pride ourselves in doing what it takes to find the right bus for you. We need buses to sell, please contact us!